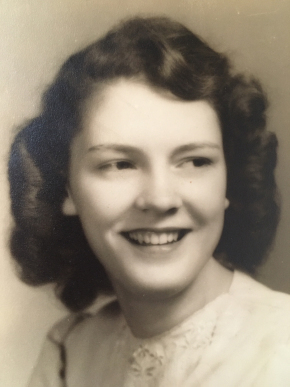 Janet Marie Cahill, longtime resident of Warwick, NY, passed away on Friday, April 12. Born in 1930 to Ronald and Rowena Miller, Janet was a third generation proud Warwickian. She was working at the soda fountain of Akin's Drug Store when she met and later married, in 1952, WWII war veteran Edward Cahill of Edenville, NY. Janet and Ed raised a loving family of three at their home that Ed built, on Galloway Heights. Janet's life was centered on family and through the years she was active in the Warwick Methodist Church and the Girl Scouts. She had a lively and wry sense of humor that she brought to everything, including her profession as a medical office manager for two local surgeons. Janet is pre-deceased by her beloved husband Edward and her brother Roger. She is survived by her children Lynn, Sharon, and Edward Cahill III and their spouses, sisters Marilyn and Barbara, her brother Larry and her loving grandchildren, Russell, Kendra, Sara, Allison and Kamryn. Visitation will be held at Lazear-Smith and Vander Plaat Memorial Home, 17 Oakland Avenue, Warwick on Tuesday, April 16, from 4pm-7pm. All are invited to the funeral service at 11am the following day, Wednesday, April 17. Private burial. In lieu of flowers, donations can be made to the Warwick Ambulance Corps., P.O Box 315, Warwick, NY 10990. At the time of funeral service we commemorate and reflect on the life of Janet M. Cahill. In the days, weeks and months ahead it will be a comfort to family of Janet M. Cahill to continue to remember a life well lived. Please select a date on the Calendar of Care to be reminded via email to reach out and continue the caring for family of Janet M..